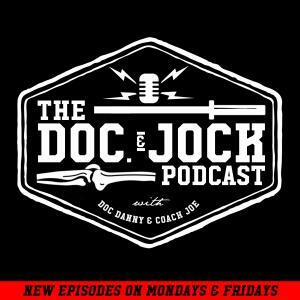 On Episode 228 of the Doc and Jock Podcast we sit down with co-host of the Mind Pump Podcast, Adam Schafer, to talk about medical marijuana, mobile car washes & the journey of personal growth. Adam Schafer is a IFBB men's physique Pro and fitness expert. Adam made his entrance into the fitness world 14 years ago and has continued to send shock waves throughout the community ever since. He is a man of many talents who wears many hats. He is first and foremost a certified fitness expert who has an insatiable desire to help people in need of major lifestyle changes and daily accountable motivation. He is also incredibly driven entrepreneur and business minded individual with a vision that continually challenges his colleagues and peers to think bigger and achieve more. Check out Adam's Instagram page HERE.